I am proud to announce the availabilty of Certified Art Giclée™ on Museum Canvas, for a selection of my work. Not only was it an experience to watch the startup and participate in the proofing process, but also truly inspiring to meet with people who have such a passion for fine art and more. 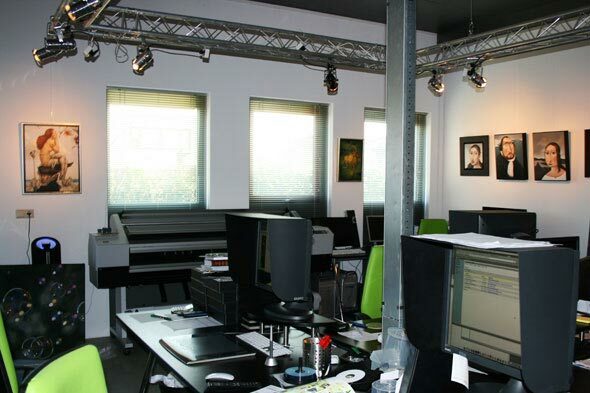 I would like to thank Marcel Salome and his team at Re-Art for their professionalism and for making this all possible. I truly value all the advice shared. I am pleased to be able to show examples of my first works going through the Certified Art Giclée™ startup and proofing process. First the entire original oil painting is scanned with the Cruse fine art scanner and digitised. 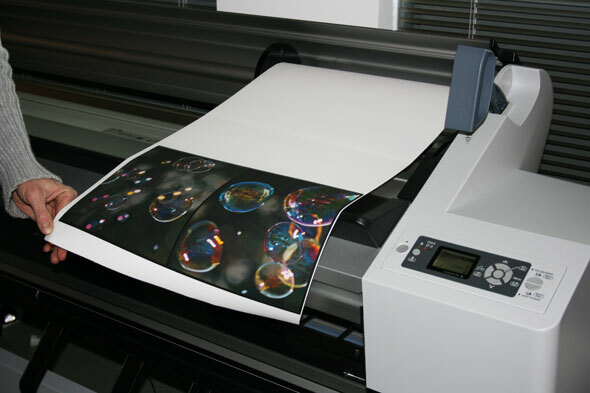 Original paintings of up to 120 x 170cm can be scanned in one pass, whereas larger paintings are scanned in more than one pass and digitally stitched together. 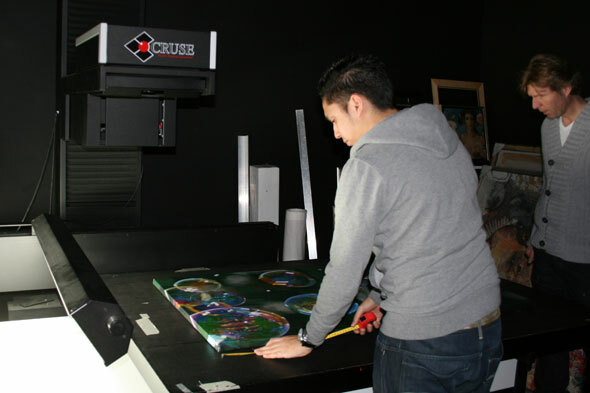 The Cruse fine art scanner’s large repro table slowly passes beneath the objective and the scan is built up, line for line, at an enormous resolution of 14000 x 21000 pixels. The lighting system provides even illumination across the entire surface and maintains the optical characteristics of the original oil painting, thereby capturing the full extent of the surface relief. Once the capturing process is complete and the digital images ready, a pilot proof is printed on canvas to begin visual comparison with the original oil painting. 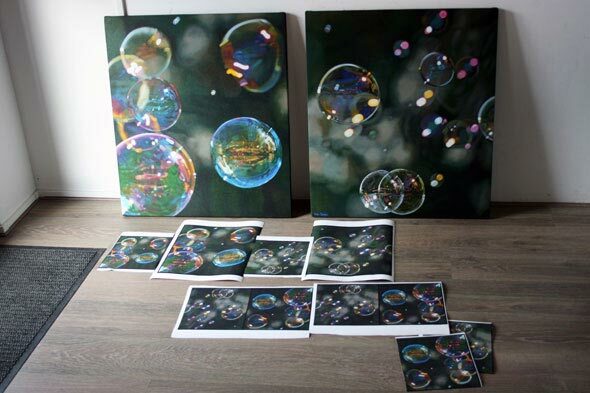 Slight colour adjustments are made to the digital images by adding and/or subtracting specific colours, and additional proofs are printed on canvas for matching against the original oil painting. Once the perfect balance is reached, a master proof for the Certified Art Giclée™ edition is printed on canvas. 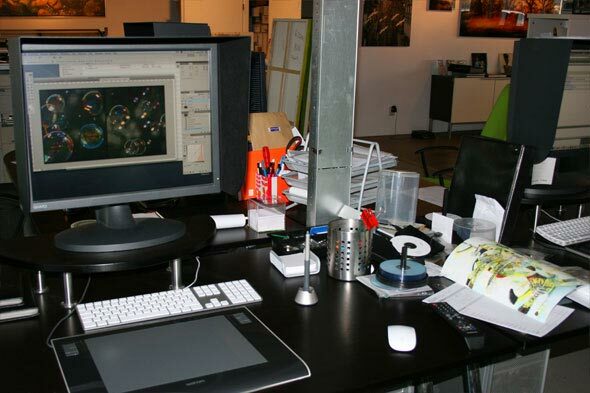 This will serve to ensure that all the Giclée prints of the series stay true to the original oil painting. The images files now go through further preparation to remove any dust, scratches and reflections that might be present. Slight adjustments are made to enhance detail and texture and the original signature is removed. Peter Strobos amazed by the results thus far! 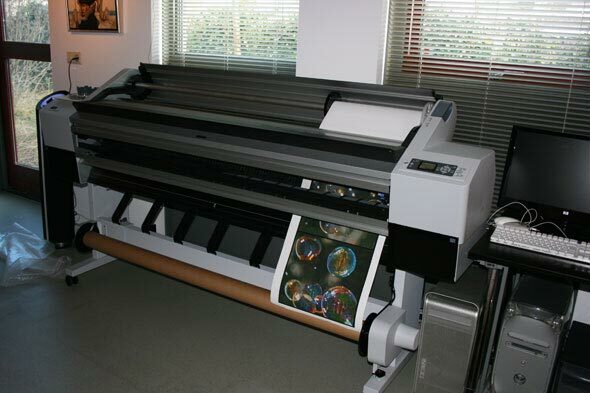 With the startup process complete, printing of the Certified Art Giclée™ edition can now begin. 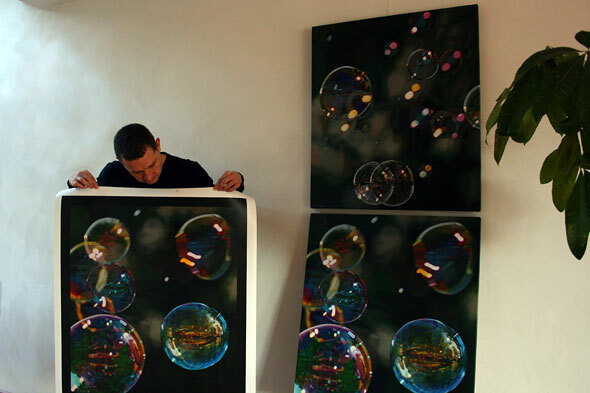 A limited edition of 25, for each panel of this set, is printed at the same size as the original oil paintings. A Certificate of Authenticity is prepared and printed to accompany each Giclée set of this edition. Certified Art Giclées are of an exceptional quality, using water resistant archival pigment inks with a high pigment load, and printed with state-of-the-art equipment onto non-acidic museum grade fine art canvas of up to 450g. 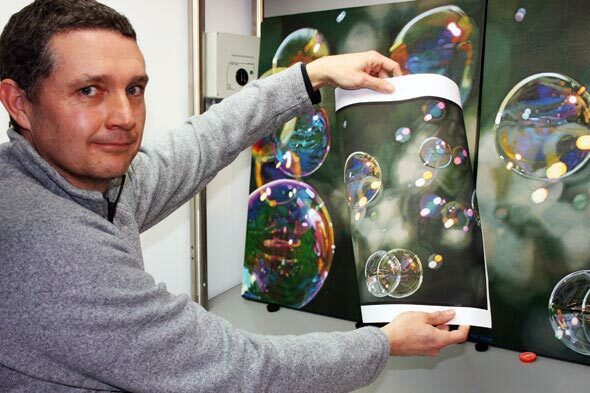 The canvas is specially prepared for the inks to bind correctly and to prevent any cracking, and finished with a scratch resistant UV protective coating. Depending on how they are cared for, Certified Art Giclées are expected to last from 80 – 300 years or more. Each Giclée comes signed and numbered by the artist. 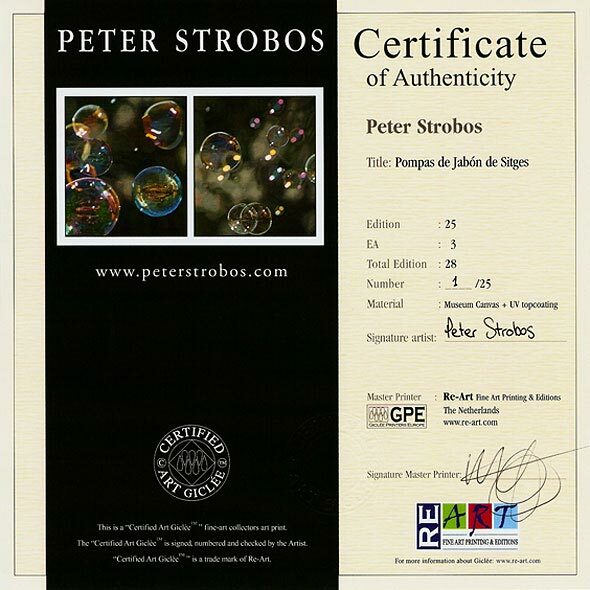 The end result, A Certified Art Giclée™ alongside the Original Oil Painting by Peter Strobos! Certified Art Giclées come with a Certificate of Authenticity, numbered and signed by both the artist and the master printer. Each certificate is embossed and carries the Certified Art Giclée™ quality stamp, as well as the Giclée Printers Europe logo. The Certified Art Giclée™ quality stamp certifies the European standard for original limited edition art Giclée prints, conforming to the standard set out by the Giclée Printers Europe Association. 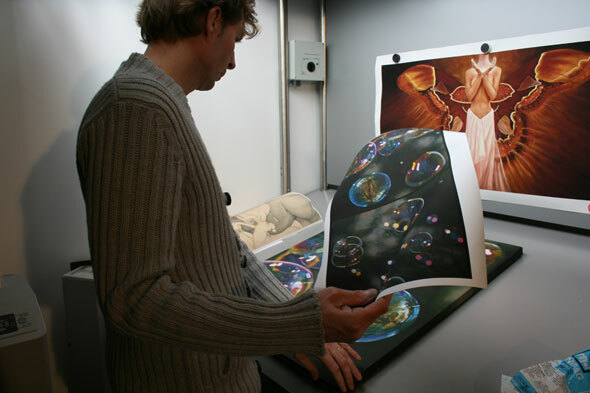 This guarantees art collectors, galleries and museums of only the highest quality and long term durability of the Giclée.